From Harvey nominated writer and artist Don Lomax and taken from the pages of his acclaimed Vietnam Journal series, comes the story of the Tet Offensive during the Vietnam War as seen through the eyes of a war journalist, Scott 'Journal' Neithammer, as he chronicles the lives and events of soldiers on the front line. 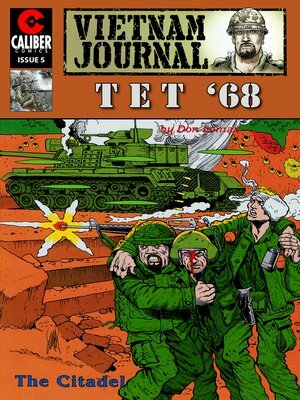 THIS ISSUE: "The Citadel" As the U.S. troops make their push to Khe Sanh, the last vestige of the Tet Offensive by the Viet Cong, 'Journal' gets a taste of the politics that has taken over the American involvement in the conflict. All but cementing the insanity of the Vietnam War.